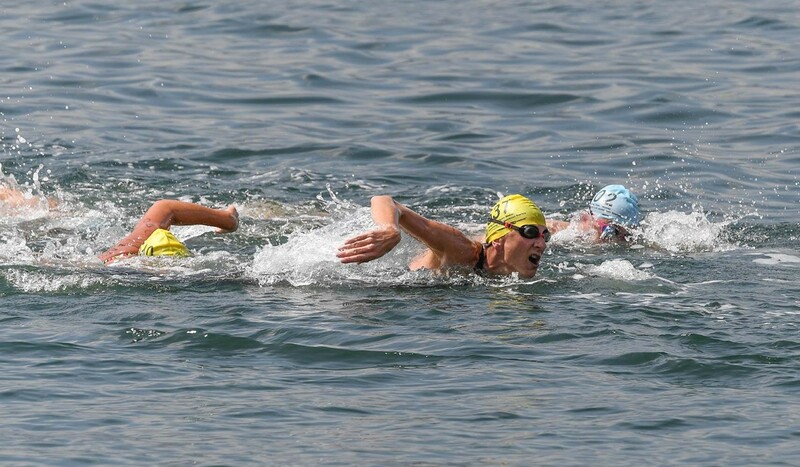 It takes the average person 20 to 25 minutes to walk a mile but Katrin Buchta swam 1.7 kilometres – slightly more than a mile, in 23 minutes, and 26 seconds in the Hong Kong ASA Panasonic Open Water Swimming Series at Tai Mei Tuk on Sunday. To be able to compete in the event, Buchta flew from her home in Beijing, and was heading back to the airport mid-afternoon. “I flew in on Friday night after work so I arrived at the hotel at about 11pm. I will fly out at 5.30pm today as I have to be back at work tomorrow morning,” said the tall, blonde haired swimmer, who works as an interpreter at the German embassy in Beijing. “I love swimming. 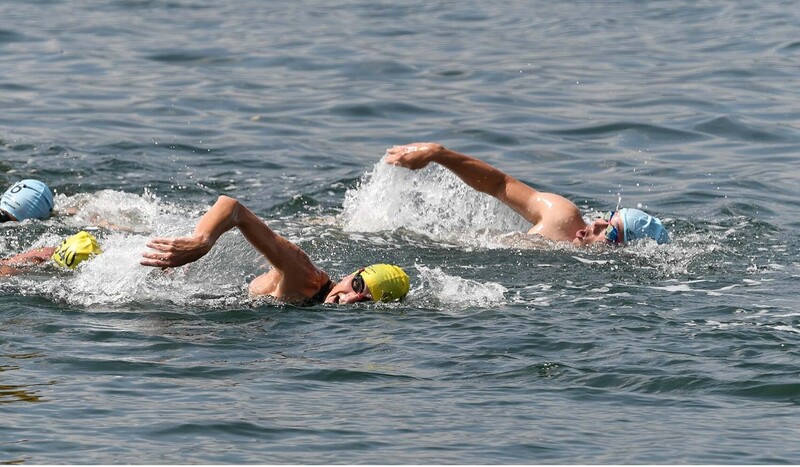 I used to live in Guangzhou but was transferred to Beijing last year, but I didn’t want to give up open water swimming so I travel to Hong Kong and other Asian countries quite regularly to compete,” Buchta added. Buchta’s time of 23:26.31 saw her finish second in the 45-49 age group behind Japanese swimmer and multi-Hong Kong recorder holder Mika Yamaguchi, who swam 21:40.61 for the gold medal. Buchta, 48, was born in Rostock and raised in what was then East Berlin. She studied Chinese language at university in Berlin from 1988 to 1994. When asked where she finds the energy to compete in such demanding events and on such a regular basis Buchta commented that she was not allowed to play sports as a child because of a hip problem. “I had hip surgery when I was four and so I was not allowed to play sports of any kind. I took up competitive swimming and triathlon only five years ago,” Buchta said. “I never did anything because they said I had artificial hips – I just sat and watched the other kids playing sports, but then when I was about 20 I thought I would try my hand at something and so I started to work out in the gym. Then five years ago I started competitive swimming. “Actually my mum was also a swimmer – she competed in the 100 metres and 200 metres breaststroke in the Tokyo Olympics, and my dad was a water polo player. He still plays regularly and he’s now 74. If it wasn’t for the hips who knows what I might have done? “I swim twice a day. At the moment I swim 2.5km or 3km in the morning. I get up at 4am and do all my rehab exercises for my knee, and then I’m in the pool at 6am before going to work at 7am. 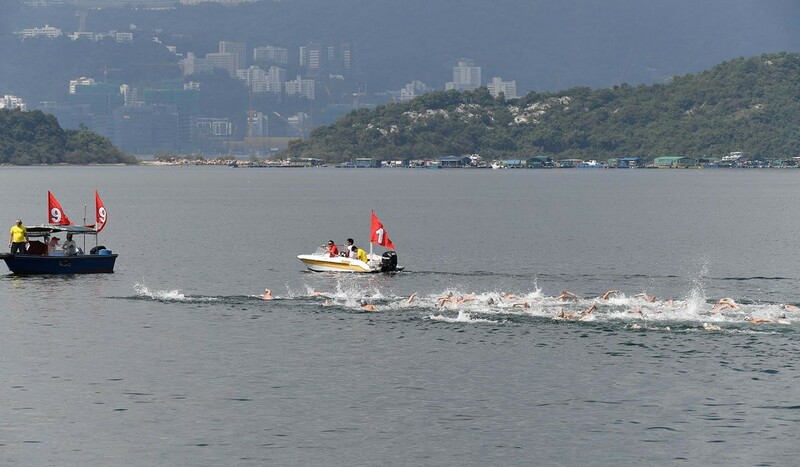 Is Hong Kong sitting on a potential gold mine of Olympic open-water swimming talent? Buchta said she likes to compete in pool meets as well as open water competitions but to enter a pool competition you need to be a member of a club, so she joined Swordfish Swimming Club. 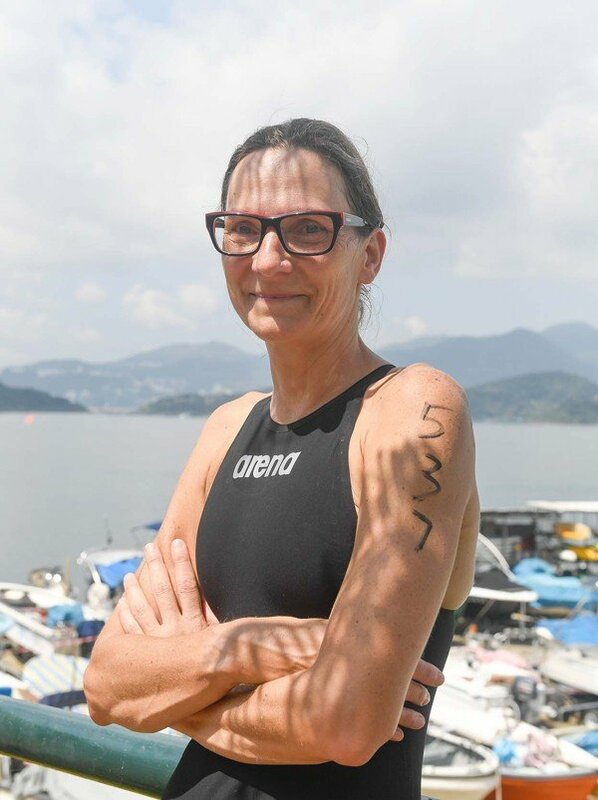 “When I was in Guangzhou I sent emails to many of the Hong Kong swimming clubs but Swordfish was the only one to reply,” she added. “There are open water swim meets in China but as a foreigner it’s sometimes difficult to get in. Some of the places are difficult to get to and I don’t want to spend the whole day taking the train and then a bus or whatever to get there.